You should vote for The Blessington Bookstore to get help from the Optimise fund because we care about you having more fun, more relaxation, more adventure and more balance in your life. Really. There are days I get home from the bookshop with my brain hurting from tiredness- the result of unrelenting multi- tasking of all that is needed to run a small business. Wrapped in a comfy chair, engrossed in a good book, body and mind relax and rejuvenate while my imagination gets some exercise. Of the thousands of books published each week, only some have the ability to weave such magic. It is my passion in life to find those books. But when I do, how do I tell you about them? How do I let you buy them from me online? That’s why we need Optimise. Blessington has lakeside walks, a beautiful stately home and the best Independent Bookshop in Ireland 2016. How do I reach out to national and international tourists and let them know why Blessington (and our bookshop)are worth a visit? And how do I let them know about our seriously good coffee, delicious home baking, and range of gluten free and vegan food? We have done a lot of work on our website and our social media, but we are not there yet. We are missing a piece of the puzzle - Optimise Ireland. 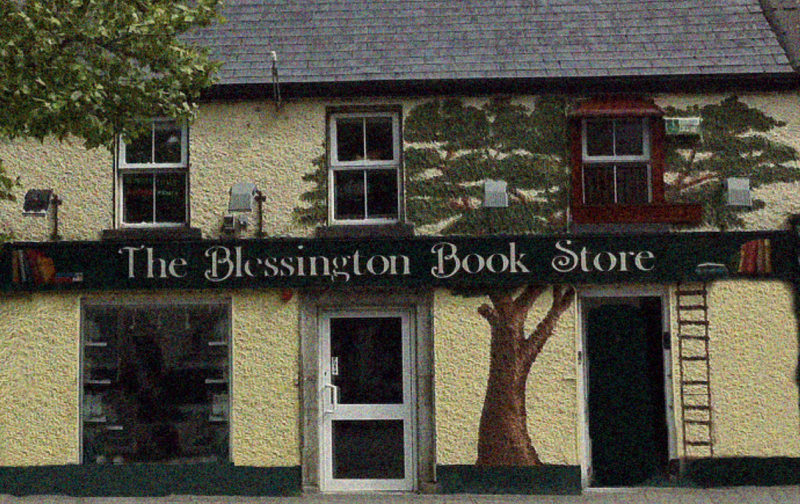 Bring The Blessington Bookstore and Optimise together. Like us on Facebook and let us know you voted for us!